The product is an energy-saving auto-lamp, which will light when one comes and dies out automatically after one leaves. It adopts integrated circuit and infrared motion detector. its performance is stable. When one enters the detecting field, infrared detector will get lamp to light, and when one leaves, it will make lamp turn off automatically. 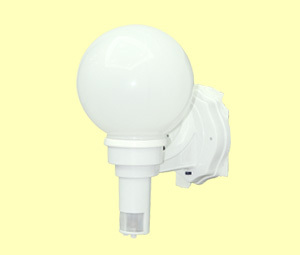 It is widely used in hotel, enterprise unit, home, etc. Can identify day and night automatically. The ambient light is adjustable; it can work at night and stop in the daytime.